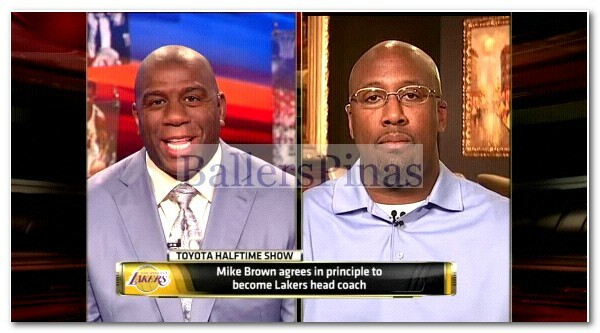 "I've seen Kobe go off the place a few times, but I'm sure the coach (Mike Brown) will know how to handle it. My dad loves Kobe and so do I; we think he has a lot left. And I know Mike has some ideas on how to elongate Kobe's career." And now, to give you a full information on what's happening with Kobe and Mike here's the full interview of the ESPN crew with the Lakers' new coach.